CONDOLENCES TO THE FAMILY AND FRIENDS OF MR JAMES TRAFICANT ,HE WAS AN AMERICAN POLITICIAN AND A FORMER MEMBER OF THE UNITED STATES HOUSE OF REPRESENTATIVES FRON THE STATE OF OHIO. 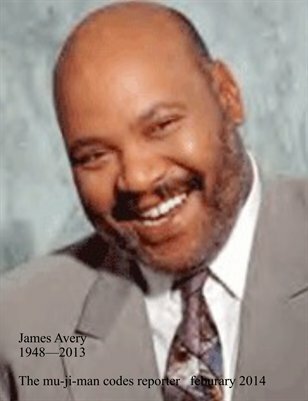 BASED ON THE INFORMATION IN HIS BIRTH DATE AND BIRTH NAME HE WAS CODED TO DIE AT THE AGE OF 73. WE WISH HIM PEACE AND BLESSINGS AS HE BEGINS HIS JOURNEY THROUGH ETERNITY. THE BUNNY ON THE HEAD WAS NOT INTENDED TO MAKE LIGHT OF HIS PASSING. Since the death of Joan Rivers,the ,media as been tripping over each other to explain why her death was so untimely and accidental,as evident from the headline above . No one in the media takes the time to look at her death in a realistic manner,they all follow the path she was some how invincible and was guaranteed a life beyond her 80+ years. But the reality of her situation is ,she was coded to die at the age she died and regardless of the hype and excuses of the media ,in an attempt to capitalize and profit from her death ,by keeping the drumbeat going about all the reasons she came to her end. We all die and even the brightest stars expire,today we have elevated these so called celebrities to god like status and we are shocked and surprised when one of our beloved celebs die,but its time to awake from the dream and to realize that these celebs are simple mortals and like every other mortal or carbon based entity we have an expiration or coded date. Joan rivers coded death age was 80 years ,its all there in her date of birth and birth name,so lets put her and the reasons she died to rest. One year ago I began blogging about the deaths of celebrities and I thank all of you for reading my posts and for your kind encouragement. CONDOLENCES TO THE FAMILY AND FRIENDS OF MR. RICHARD KIEL,WHO DIED ON SEPTEMBER 10,2014.HE WAS AN AMERICAN ACTOR AND IS WELL KNOWN FOR HIS STEEL TOOTED JAWS ROLE IN THE JAMES BOND MOVIES. Condolences to the family and friends of Mr. Sean Haire,he was a professional wrestler. CONDOLENCED TO THE FAMILY AND FRIENDS OF ME. MOLLY GLYNN,WHO DIED ON SEPTEMBER 09,2014. SHE WAS AN AMERICAN FILM AND THEATRE ACTRESS. Condolences to the family and friends of Ms.Simone Battle,who died on September 05,2014.She was an American actress and singer from los angeles. Condolences to the family and friends of Ms.Joan Rivers,who died on September 04,2014. Joan was an American actress,comedian,writer,producer and television host. She was a one of a kind personality in her field and she will be missed by her legions of fans. Death is always an unwelcomed visitor and we all like to avoid thinking about it and hope that its appperance will be delayed for as long as possible,but the truth of the matter is ,death is always with us and our creator encoded within us ,the exact age and timing of or death,all we have to do is take the time to study the encoded information. As in the case of Ms Joan Rivers,she was a bigger than life personality on our television screens and the last thought on our minds was her impending death,but as you can see from the information precoded into her date of birth and birth name(Joan Alexandra Molinsky) she died three months after her coded death age of 80. 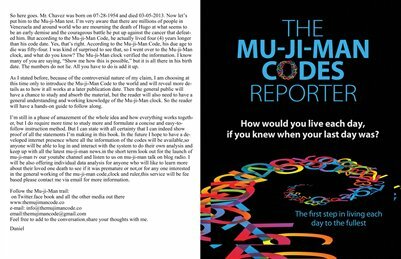 In my previous blog post on Joan,I said that I was not publicly releasing her pre coded death age ,because its our policy to do so only after the person death has been publicly released by their family,however as a time stamp to prove the effectiveness of the mu-ji-man codes ,I did share with a personal friend via text message her actual coded death age of 80,prior to her death. As she begins her journey into eternity ,we wish her G’d speed and blessings. Joan Rivers is an American icon in the world of entertainment,and is currently said to be struggling for her life in a medical induce coma,she is 81 years old. At the mu-ji-man codes we make it a policy to not publish a persons codes before their death has been confirmed and made public,and we will honor that policy in ms.rivers case,however because of the fact that she was placed in a coma which is in essence a suspended death ,I will like to point out a few interesting things about that as it pertains to her mu-ji-man codes. Her coded age is 86,from our research the majority of people die before their coded age and a minority die at their coded age and an even smaller minority die after their coded age. The mu-ji-man codes for Ms.Rivers reveals her actual death age but I will not publish this age until the appropriate time. Everyone here at the mu-ji-man codes wishes her a speedy recovery and our hearts and prayers go out to she and her family during this difficult period.